In the run-up to the 2017 Dutch parliamentary elections, the radical-right, anti-immigration Party for Freedom (PVV) and the center-right People’s Party for Freedom and Democracy (VVD) were locked in fierce competition. Immigration and integration, core issues for the PVV and its controversial leader, Geert Wilders, were at the heart of the debate. In the end, the VVD beat out its radical-right opponent, earning the most votes and leading some commentators to proclaim the election a victory for mainstream liberal democratic values. This report looks beyond election results to examine how and under what conditions radical-right parties have had an impact on immigration policymaking in Western Europe. Taking the Netherlands as a case study, it examines the challenges many such parties face in translating fiery campaign rhetoric into policy after entering office and their relative strengths in shifting political agendas while in opposition. It also assesses the strategies more mainstream parties have adopted in an attempt to limit the growth of the populist radical right. In de media n.a.v de verkiezingen in Nederland in 2017. Bijdrage aan ThinkProgress. Europe’s extreme right is losing elections but still reshaping politics. 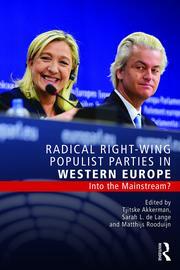 Experts say Geert Wilders’ ideas are now part of the mainstream.